The events in Charlie Sheen’s life have become very public, for better or worse. Regardless of your opinion of what is going on with him, the latest legal maneuverings by his attorneys and those of his opponent have provided a topic for this blog and information that is important for anyone who has ever or will ever sign a contract. Very few people read the agreements they are signing from start to finish, and in neglecting to do so they do not know what the terms of the agreement are when it comes to dispute resolution. Most people assume that if the contract is breached, there will be a lawsuit; this is generally the case, however more and more parties are including arbitration clauses in the deals. 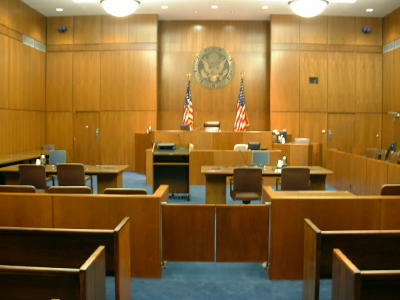 What this means is that instead of taking a dispute to court and letting a judge and/or jury decide who is at fault and who is not, it goes to a private service and they assign it to an arbitrator – usually a retired judge or attorney – who acts as the decision maker. The pros of working with an arbitration service is that the matter is private (court proceedings are public record) and it’s supposed to be on a faster schedule. This may or may not be true as it can take the same amount of time to arbitrate as it would to litigate. The cons are primarily the cost. The parties must pay for the administrative services as well as the fees to the arbitrator who is the decision maker. This can amount in to the tens of thousands of dollars and if one party can’t pay, the others have to pony up that share. Additionally, unless it is decided prior to the arbitration in the agreement, the parties may not have any true procedural rules as you do in court. Further, the arbitration fees and costs do not include your attorney’s fees which will also start to add up. Now, if you, like in Charlie’s case, decide to file a lawsuit in court when you have an arbitration clause, the opposing party will likely file a Motion to Compel Arbitration – or basically a request to send the case to arbitration per the agreement. So, if you don’t think you want to pay a lot of money to a private company for something that you can submit to the court and not have to pay all the extra fees, you would do well to contact a lawyer at the outset to review your contract before you sign it. Forewarned is forearmed.